The Canley Sports and Social Club (formerly Canley Social Club and Institute) Coventry. People came from all directions- from up the street and down the street, from across the train line and other parts of the city. Some probably came from other towns and cities.. For a moment I thought it was like the ‘old days’ when the Canley Club attracted huge numbers of people on a regular basis, such as during its heyday in the 1970s. It was famous for its lovely concert room, the height of luxury at the time, its huge lounge and great sporting facilities. 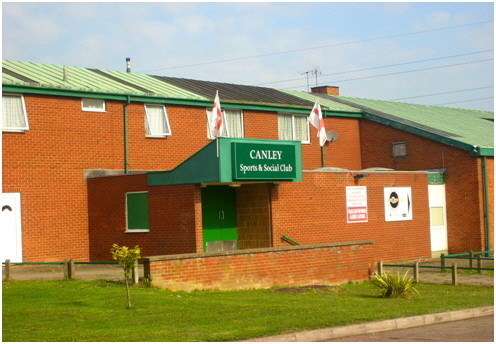 So many people used and loved the Canley Club. It was at the heart of Canley and even members sometimes had to queue up to get in. Yes, for a moment yesterday morning, September 2nd 2013, I felt like it was the old days again. But why were there tears in my eyes and others? The reality was, this was a wake for the club which had been burned down during the early hours of Sunday morning, September 1st. People weren’t coming for a concert, bingo, or a game of snooker. They were coming to see what remained of this once mighty and hugely popular club. They were coming to see if the news was really true. They came to see what was left, to reminisce and share their sense of loss with others. Some younger people came probably just out of curiosity to see what a fire so strong it took ten fire engines to put out can do: destroy a club and rip the heart out of a community. 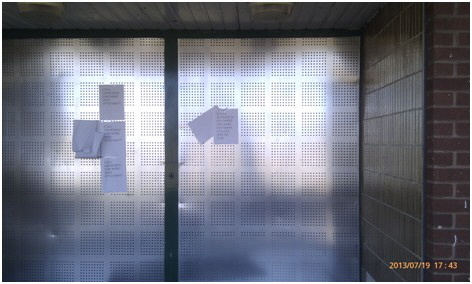 The club had been boarded up since early July but there was some hope it would reopen if a buyer could be found. Yet we all know what happens when a building is boarded up- it becomes a target for vandals, thieves and wannabe arsonist. Now the 65- year existence of this once great club has come to a sorry and very undignified end. Club Historians has far too often had to write about clubs that close and the sadness that brings. Weâ€ve quoted too many club members in a state of shock saying they donâ€t know what they will do without their club. Often the suddenness of it all is remarked upon: it all happens very quickly even when a club has been in slow decline. The boarded up windows and padlocked gates seem to appear overnight. One minute you’re having a pint in company of friends, the next you are locked out. It’s always unpleasant reporting on club closures. And now the club that Ruth has such strong personal links to has joined the growing list of clubs closed down and burnt down. Before the boards went up, members were still playing bingo, singing Karaoke, playing snooker, football and bowls teams having their games on the well-equipped sports grounds. It had a loyal band of members. But it had been put up for sale and no deal had been struck by the bankâ€s deadline. And then-the final act, the destructive fire. The story of this club is illustrative of hundreds of others around the country. The Canley Social Club and Institute was founded In 1948 by a group of local men who wanted somewhere to go in their free time on this new post-war council estate. Men like Ruth’s father who was an enthusiastic supporter for a new club close to home. A plot of land, one of six across the city, had been set aside in Marler Road, Canley, for a club by the local council. Plans were drawn up, money borrowed from the council and the plot of land across the street from Ruth’s council house soon had a basic club building on it- much of the work done by members themselves. 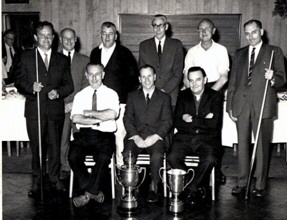 The committee, headed by the formidable Jimmy Cooke, who went on to be a long-standing and influential CIU National Executive member, applied to affiliate to the CIU and was accepted in 1950. A basic wooden hut became a well-used and loved facility on the estate where there wasn’t much else to do. It was open for family activities right from the start- it was not just for the men. 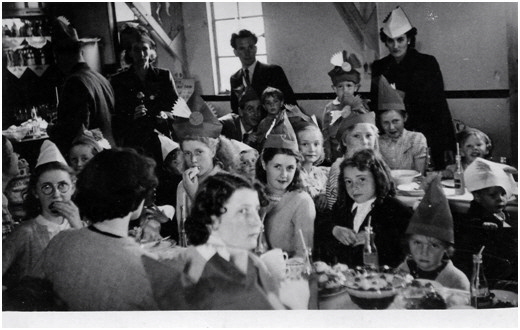 There were boxing lessons for the boys and parties for the children at Christmas. There wasn't much else to do on the expanding estate and the Council was happy for the club to become an unofficial community centre. There were also the all-important outings. Many hundreds of children set out for their first trip to the seaside from outside the club. The excitement was tangible as several coaches left in the early morning, headed for Skegness or Rhyl. There was a billiards room for the men where other games were played. It soon had successful teams for all the usual games: bagatelle, billiards, dominoes, darts. By the mid-60s, there was a small lounge where free and easies, piano sing-alongs and housey-housey could be enjoyed. The old fashioned bag of numbers were used with the familiar shout of ‘shake ‘em up!’ from the audience. Members could get up and join in the ‘free and easies’ by singing songs or telling jokes. One of the founder member’s wives played the piano and there was very little paid entertainment at this time- that came later. The club’s membership grew over the decades and there was often a long waiting list to join. The club gained a good reputation within the CIU as well as the local area. In the 1960s and 70s, there was much rebuilding and extension work done on the club. This was going on all over the country. The ‘temporary’ wooden hut, which had served the club members for ten years, was finally replaced with brick buildings. There was a brand new concert room, which seemed very luxurious with a beautiful wooden dance floor. The foyer area was rebuilt and expanded. Later on the lounge was expanded and another floor added upstairs for committee rooms and offices plus refurbishment of the steward’s flat. It became even more popular and attracted a lot of praise. In 1998, it became the first CIU club to secure a grant of Â£462,787, under the CIUâ€s Lottery Initiative. This enabled them to build a new floodlit multi-use games area, changing rooms, refurbish the games hall and football pitch. Less than 2 years later the club left the CIU and ended up in private hands, ending a 50 years of affiliation. Its popularity began to decline as with many other clubs and had a dwindling membership. In recent years, there remained a number of football teams, mostly local young lads, who were doing well and bringing in their friends. Men and women of different ages enjoyed the bowls games. All these facilities remained well used if not used to full capacity. The club retained a small but steady group of members who organised fun days and other community events. They were trying hard to keep their club open! But the bank decided to board it up and then the rot really set in. Looking at the charred remains of the Canley Club provokes sorrow, a huge sense of loss and also anger because things could have been different. It is such a waste of great facilities. This club, like hundreds of others, could have been supported more not only by members but by local MPs perhaps, if they had recognized the great history it had, its facilities and its potential. Many, however, never see beyond the ‘beer and bingo.’ They are ignorant to the importance of clubs. People need somewhere go to go to socialize with others: social isolation is a huge problem for older people but also for younger ones too such as young mothers. Already local people are dreading the inevitable demolition and the selling of this plot of land for building. A couple of local women are thinking of getting a petition up so that a smaller club could be built. â’We need something around here, there isn’t anything at all now’. Yes, they do and I would support them. I really hope that something can rise from the ashes of the Canley Club so that the local community can have a place to go, to be together as they used to be able to even if on a smaller scale. I am not going to post here pictures of the club burnt out. I prefer to keep memories of it standing, alive and well, in better times. NOTE: Ruth is going to write a longer history of the Canley Club in the near future. This was her original plan 7 years ago but she became involved in looking at the wider club movement. This event has highlighted the need for a dedicated history to a special club.